Yes I can but euh I have promissed Carmel to drive safely!! Euh and I can only play cassets in the car. And I forgot them!! I had made a few Ruslana ones for when we had the ford fusion we also only could play cassets. what kind of car is it? A Porsche? hahaha! You can take the children to ride to some adventures. Does the parents allow this? Its really cool to read your description of your work in Ireland at the family. It must be really cool to take care of so small children!!! and yeah, I am also addicted to Internet. If nothings is happening somewhere online I gets really restless! Thanks for the time schedule. And in the afternoon? Great that you have a car!!! Im sooooooooooooo curious for photos!!!!!!!!!!!!!!! Hope it can be sorted out soon so you can share images with us! Oh euh well when Rachel wakes up I give her her bottle and when sophia is arround we go for a walk. Sometimes we go to the neighbours. And when the parents or one of them comes home they take over and I go to my room or stay to play or watch television. I hope so too but now I have to leave I am going to write a report for my family. This is me on the road to Sallygap. The car had to stop for a while cause it was to hot. The road is up up up and more up the hill and my car is old. The landscape is beautiful. I love this sort of deserted, wild landscapes. The picture with the kids is cute! Thanks Esthertje. I agree with Cora : I like that kind of landscapes too. Like the sea and the mountains. The wild sea ! But what I don't understand : You have been in Ireland for not more then 2 months and you already have two babies ? They look happy. Nice picture indeed. Thank you soooo much! The mountains looks wonderful!!! I really love the first photo, its so beatiful and so free! Its so cool to see Sofia and a half Rachel. I hope you can bring on more photos of them in the future so we can see more of them! I know it is a bit difficult for you with the lack of internet you have, but it would be great, if you could advertise the new fan club in your Bebo blog. Thanks a lot! 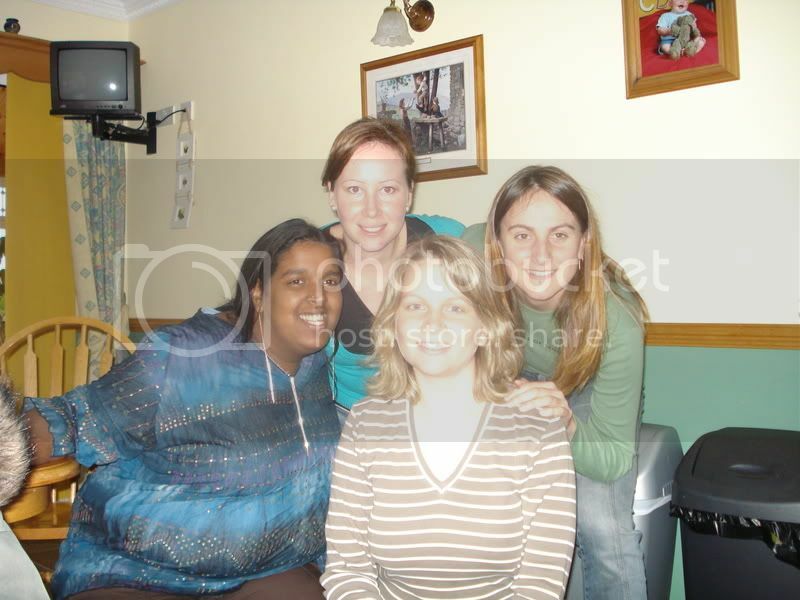 And this is me and three other au pairs. It was me who edited it Sorry haha I forgot to tell my name. Yes ofcourse I will promote the site!! Youre welcome I was really happy that I finally found a way to show you some pictures. Well the old fashion way would have worked aswell but this is (normally) easier:P I love the mountains and the coast. Apart from the internet part I am really happy and satisfied with my life here in Ireland. When I get a better picture of the girls I will post it here. It was me who edited it Sorry haha I forgot to tell my name. No problem. But ... there is no note that it was edited. The function doesn't seem to work. I have now tried it on your previous post. It doesn't say "Edited by moderator". I will tell our new admin. Apart from the internet part I am really happy and satisfied with my life here in Ireland. I am very happy to hear that. Yeah, enjoy your time as much as possible! Yeah thats the best of nature! Wow, thanks for the wonderful photos! 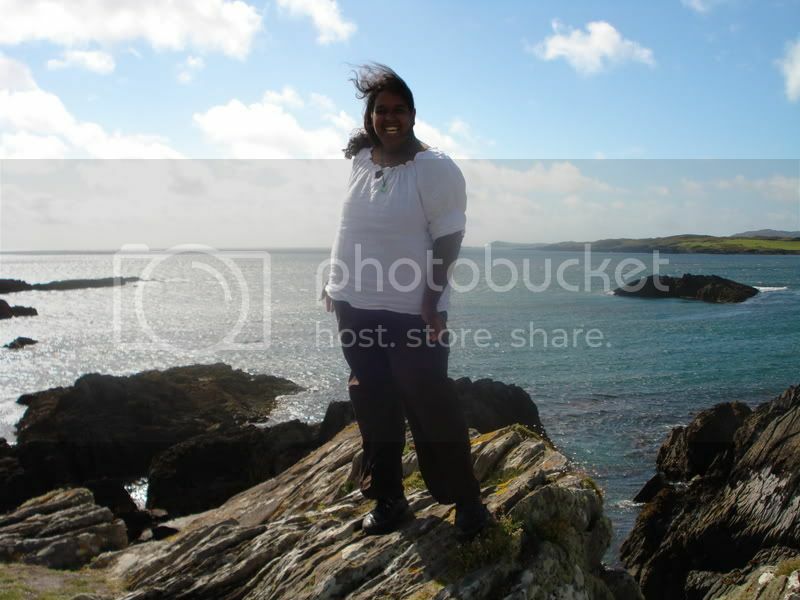 My husband and myself have been travelling to Mizen Head before, it´s a beautiful spot. 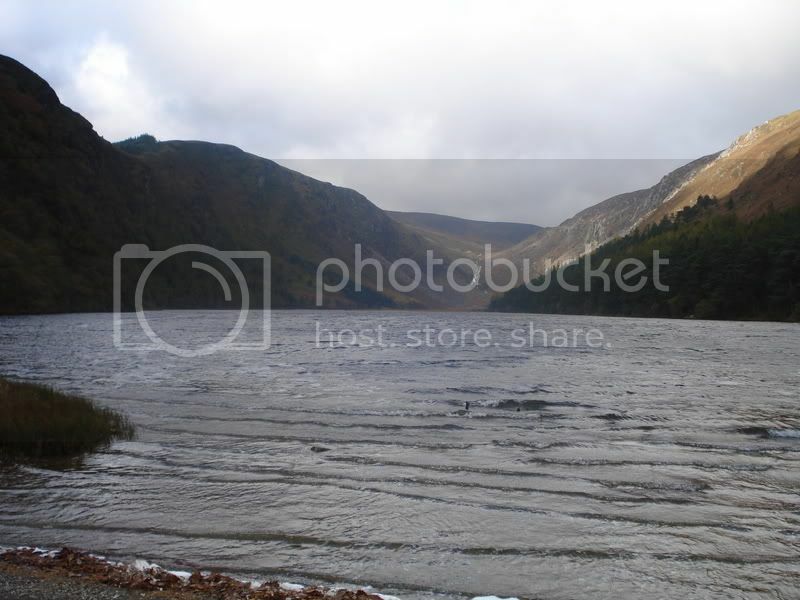 We haven´t been to Glendalough before, but we would like to go there one day. ... 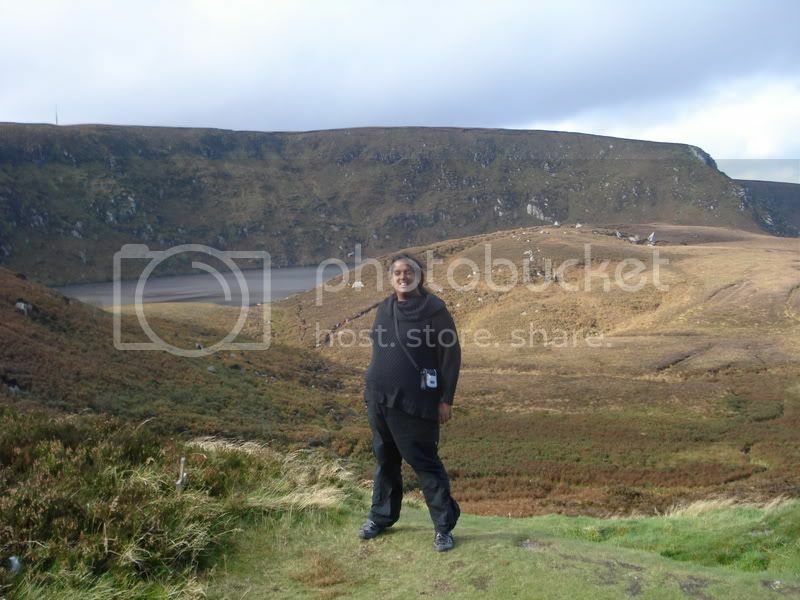 I'm coming in on the end of this but it looks like you had a great time in Ireland. Once you get the weather it is a nice place, but a wee bit expensive!!! David (from Ireland). "Cead Mile Failthe"
But David I am still in Ireland. I stay in Ireland till next june maybe part of july. And I am still having a great time in Ireland. It is good to hear you are having a good time. Ireland is a nice country. It's a pitty about the weather and the €€€€€€'s. Everything here is tooooo expensive. Especially petrol!!! Yes indeed things are expensive here but well that is not going to keep me from traveling. I mean the expensive petrole as far as I know from my dad it is cheap here as it costs more in my country (Holland). He Esther. Next time you are here, ring me out of my bed, will you ? About your question to Ruslana : Please explain Cora yourself. I've never been to Holland, I hear it's nice. Is it move expensive then Ireland? And what brings you to Ireland? Euh Ireland is more expansive I think exept petrole. Well don't know actually. I like Celtic stuff and nature which according to my neighbours is very beautifull and now I have seen parts I agree. And they pay you more as an au pair in Ireland:P hahaha Someone told that the goverment gives money to families who have an au pair or something but I don't know if that is true. I was really happy to go back to Ireland after a break in Holland. But it seems I should have better stayed home:S At the moment I don't like it very much. There is a strange tense hanging arround the house when they are at home. I am constantly affraid of doing something wrong or that something breaks. And my hostmom is kind of stressed or something maybe it has something to do with her pregnancy. I am happy that it is weekend now. Don't know what I will do tomorrow but I will see. First have a long sleep and then go to town for internet. Lusse I book the internet early I think this time. I want to be on the internet at 3 o clock your time. If someone else likes to talk on msn with me that is ok. I am really looking forward to the visit of my parents here in Ireland. Then we are going to travel arround for ten days. I am realy happy that they come cause it will be a break in the 5,5 other months. Actually I have to talk about this with my hostparents but I don't know how to start. Hahahaha if they read this they know exactly how I feel I hope they don't read the Ruslana forum. Maybe I've been a bit to honest well I will see. I wanted to talk with her this evening but Sophia was extremely tired and that means she was acting really bold! Rachel is so funny now she walks. Well she is walking for a month now but it is still funny. Running arround the house to find her sister or me. She loves climbing the stairs:S:S:S:S:S:S Have to mind the stairs and close the gate or else she is at the top of the stairs. Oh also some good news I am in the Camebridge Advanced english Exam course! It is pretty tough but I will manage. Well I have to stop now as the battery of my laptop is almost finished. I am in DVLINA (Dublin) at the moment waiting for my bus to Mullingar. Sorry DavidKelly I won't go to Longford as I didn't get a reaction and don't know if there is time. Hope ther will be another time maybe in Ireland or else somewhere else at a concert. I see you on forum!!! I have to say Im so incredible sorry for not paying you attention lately!!! My parents are in the plane back home at the moment. 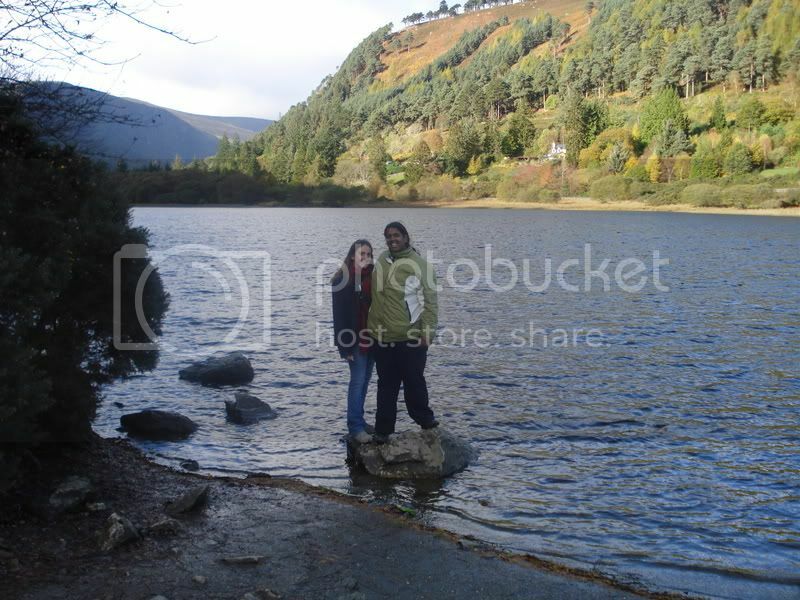 We travelled arround Ireland for the last 8 days; which was very very cool!! I hope to show you all some pictures very soon!! 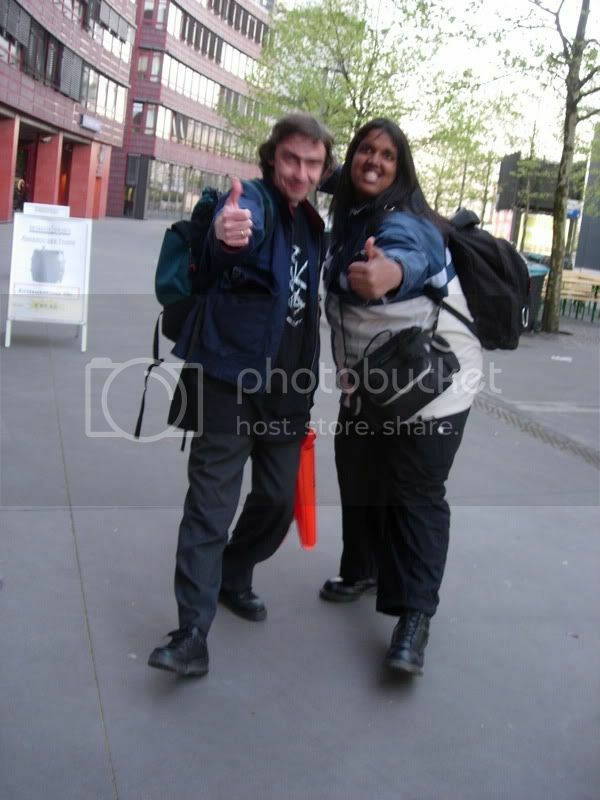 I met a Ruslana Fan in Galway he is not a member of the forum but he is a very devoted Ruslana Fan. It was sooo coool to meet another fan it gave me an energyboost!! It was sooo coool to meet another fan it gave me an energyboost! !